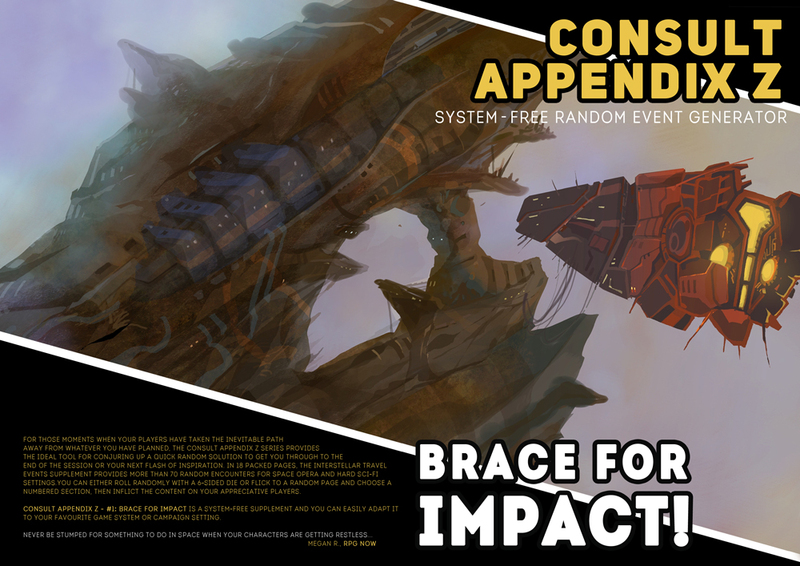 For those moments when your players hit the JUMP button too soon or warp right out of the path the adventure has set for their rendezvous with doom, Brace For Impact! takes a leaf out of the random table book established by From Unformed Realms. Brace For Impact! offers 18-pages packed with tables presenting high sci-fi encounter seeds based at the point of arrival for your unsuspecting characters, with room for taking notes and generating odd details like a ship names, types of debris, and failing systems. It won’t replace an adventure – but, at a pinch, it will create the seed for an encounter, the in media res moment for a mission, or distract the players just long enough for you to improvise the meat of something else.